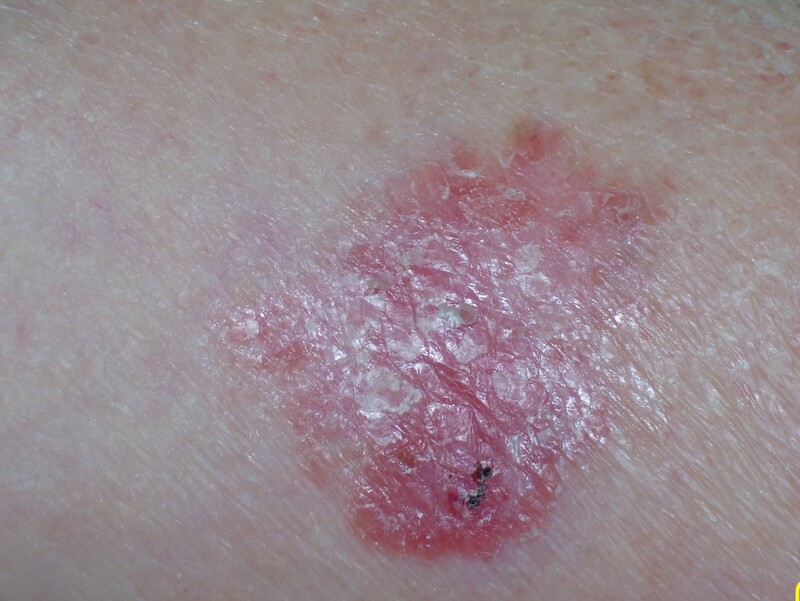 This is the commonest skin cancer (80%) and like most skin cancers, is thought to be mainly attributed to a combination of skin type and UV radiation in the form of sun exposure. There are many different types of BCC described and they can present in different ways; most are superficial and slow growing, just causing a local problem at the site of origin. They rarely if ever, spread around the body to cause problems elsewhere (metastasise). Only if neglected for years can they cause significant problems as they can erode the tissues and cause local complications. 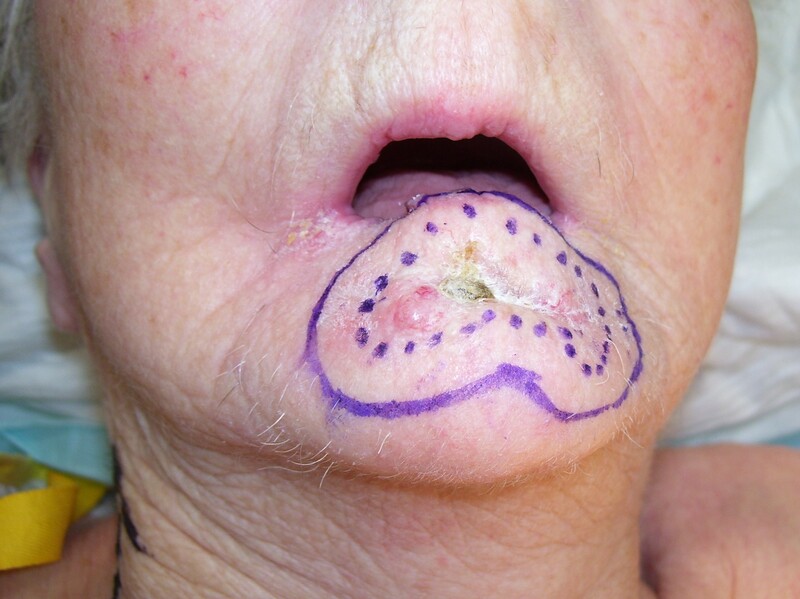 This gives rise to the alternative name for some types of BCC; which are called a “rodent ulcer“. 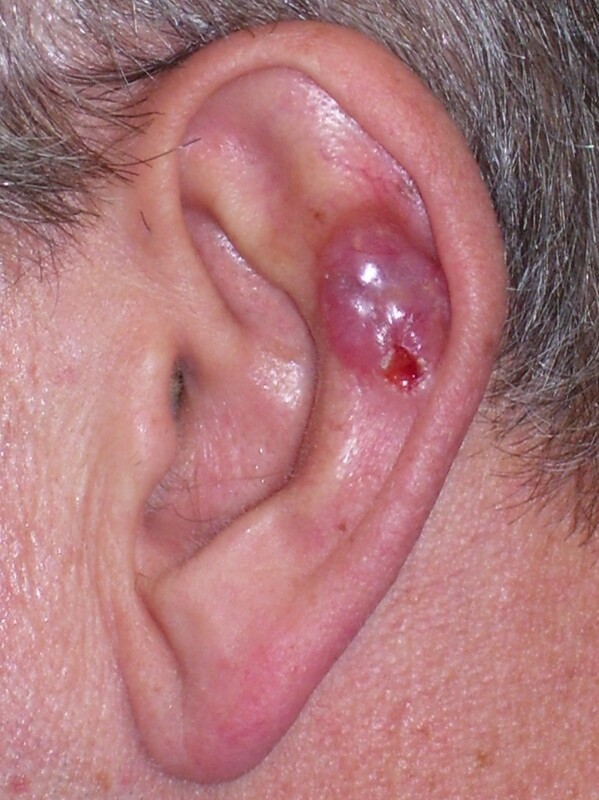 Basal cell carcinomas can occur on any part of the body, but are most common on areas that are exposed to the sun, such as the head and neck (including the lips, nose and ears) and the backs of the hands and forearms. 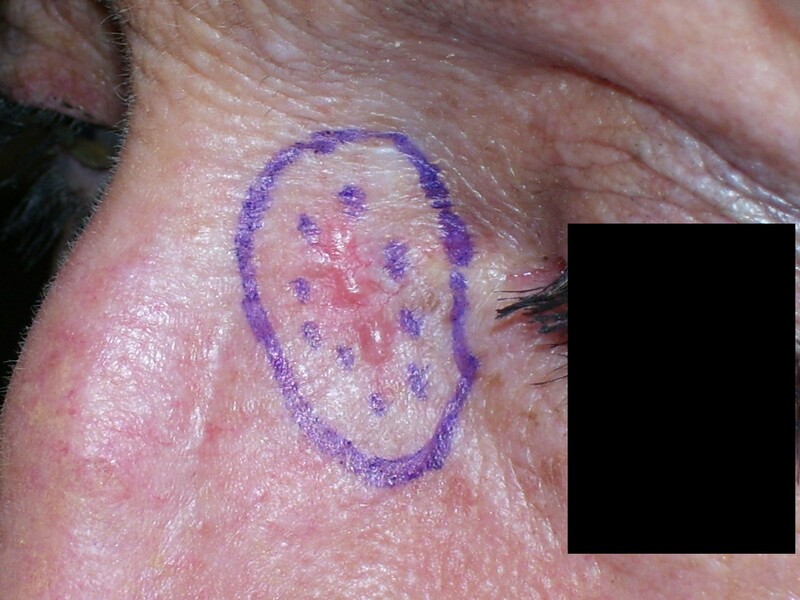 Risk factors for the development of a Basal Cell Carcinoma. Older people – even those who have tended to avoid the sun – but younger ones who are out in the sun a lot due to occupation or lifestyle choice, are at risk too. Builders, farmers, surfers, sailors and people who often use sun-beds can develop Basal cell carcinomas when they are relatively young. Those with a fair skin are more likely to get skin cancers than people with a dark skin. Although they are not hereditary, skin type and the tendency to burn often runs in families, so a family history of development of skin cancer may be relevant. Anyone who has had a lot of ultraviolet light treatment for skin conditions such as psoriasis will also be at increased risk of getting a BCC. Those whose immune system has been suppressed by medication taken after an organ transplant, or by treatment for leukaemia or a lymphoma, but this group more commonly can develop an SCC. 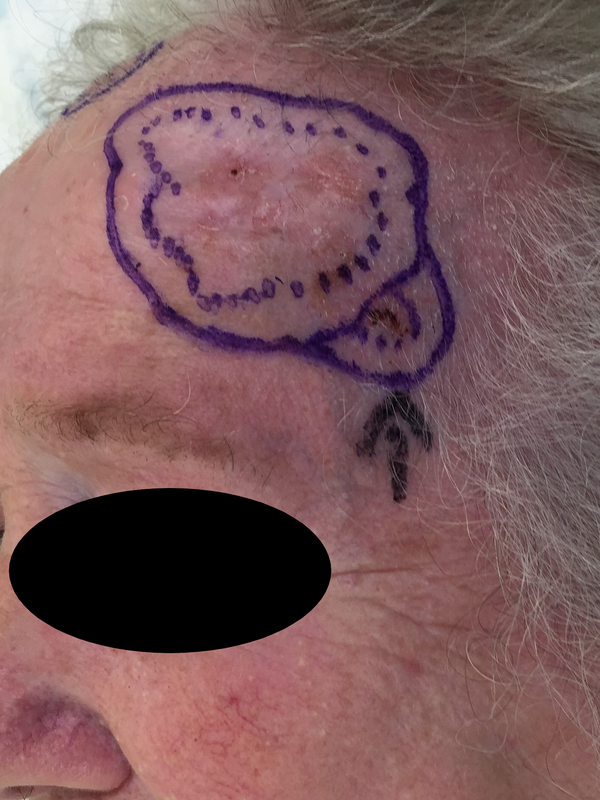 If your doctor thinks that the lesion on your skin is in need of further investigation, you will be referred to a skin specialist such as myself, who will decide whether or not it really is a Basal cell carcinoma. 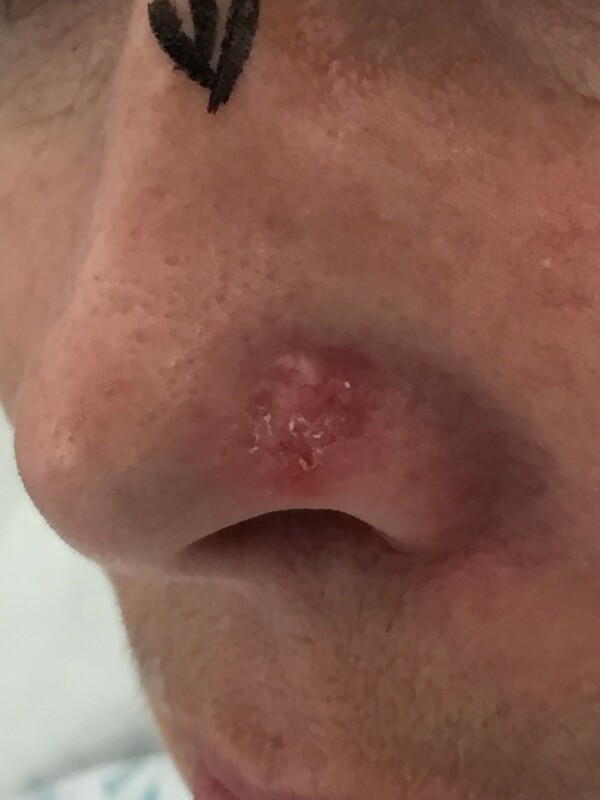 This can often be done clinically by a specialist who is familiar with the many different presentations of BCC but who is also familiar and trained in the use of a magnifying device called a Dermatoscope to help make the diagnosis. 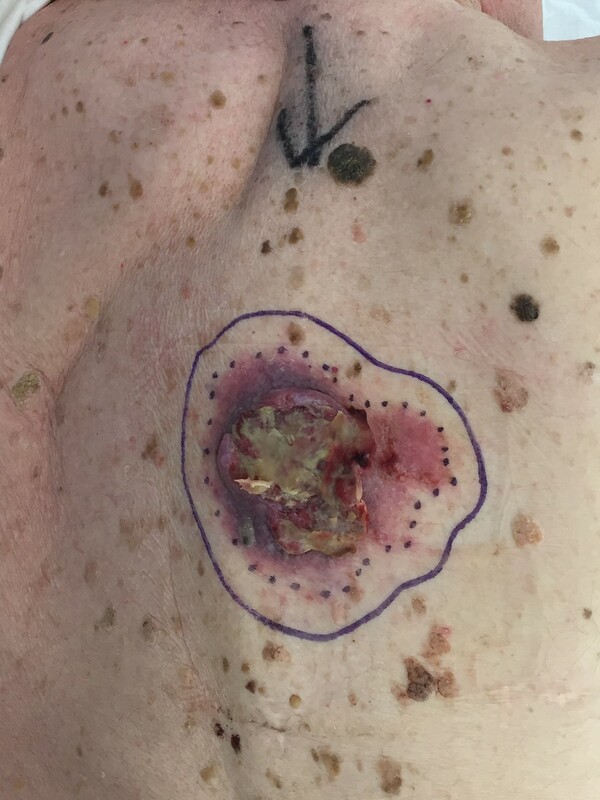 Generally, however, to confirm the diagnosis, a small piece of the lesion (an incision biopsy), or the whole area (an excision biopsy), will be removed under local anaesthetic and examined under the microscope in the laboratory. Most BCCs can be cured if they are detected and treated early. Because there are many different types of BCCs, there are different treatments to match, which are tailored to try to control the problem. 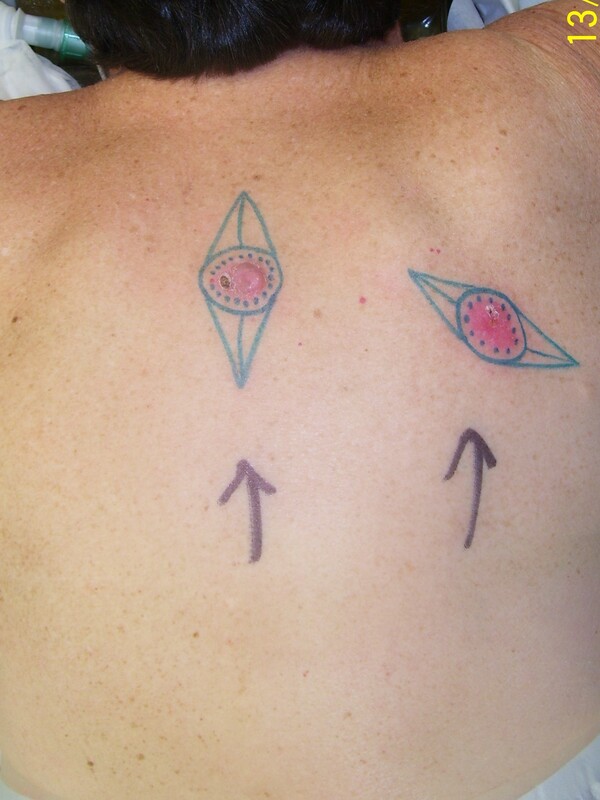 There are also important considerations which are dictated not only by sub-type, but depending on a number of factors such as size, site and anatomical location. 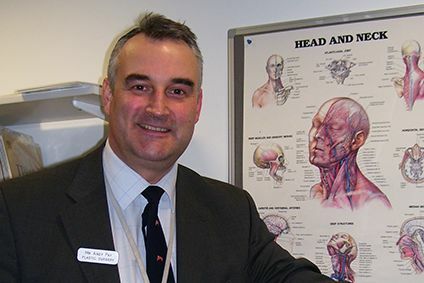 Also of importance are patient factors such as general health, medication and co-morbidities. 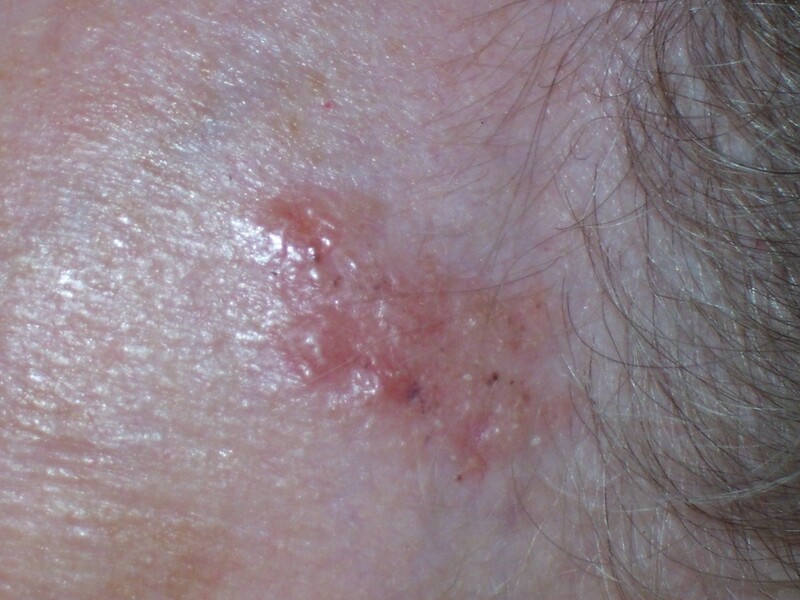 Various methods have been used successfully in the treatment of BCCs; please refer to the section on Skin Cancer Treatments to gain further information. 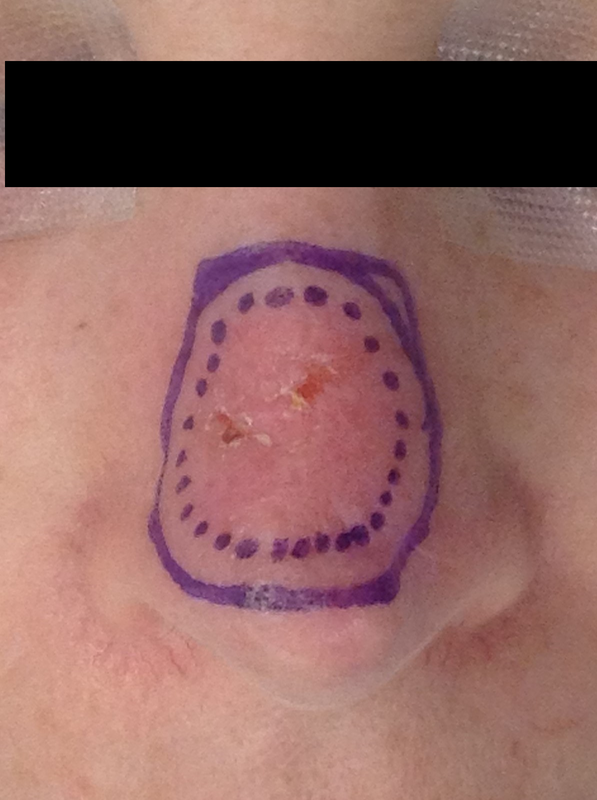 Usually the best treatment is for complete surgical excision – this can often be achieved with the initial biopsy. 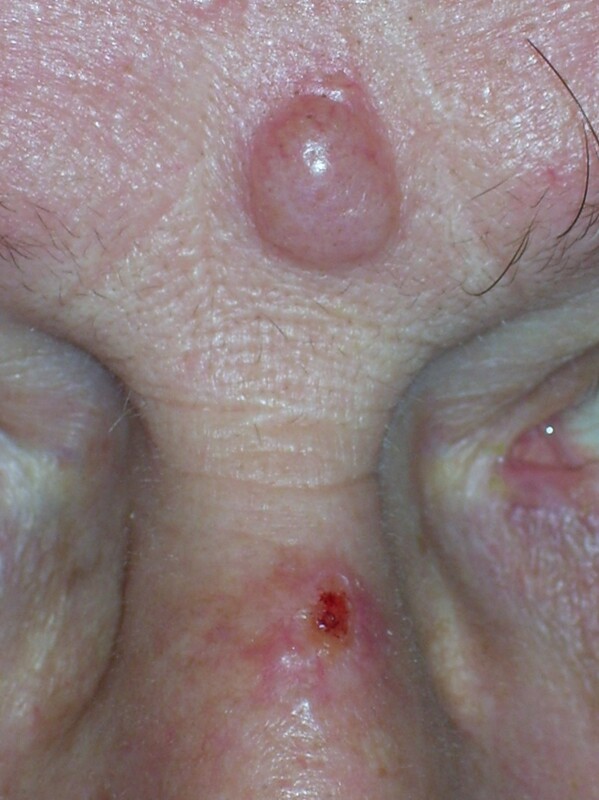 If BCCs are left untreated for too long, they can grow locally and erode the tissues in a destructive fashion, thus making them slightly more challenging to treat.